I’m guessing most of you have eaten chicken kiev or chicken cordon bleu. You know, the kind from the freezer aisle at your grocery store. I’ll admit I used to love eating them; who doesn’t love breaded chicken with gooey, delicious cheese and ham oozing out of the middle? But you know what’s even better? 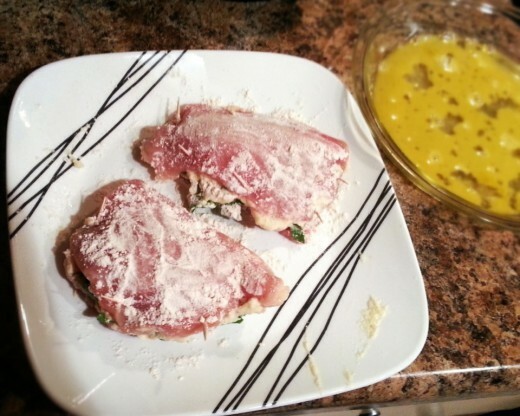 Homemade stuffed chicken breasts. Think of the endless variations: ham and cheese, broccoli and cheese, pretty much any vegetable you like and cheese. See a trend? I think my husband and I eat too much cheese. But in all seriousness, making stuffed chicken breasts is not very difficult. Sure, it may take a bit longer than heating up a store-bought one, but once again, it’s totally worth it. You can control the ingredients you put in them and feel good about eating something homemade. I came up with the recipe awhile back when I was trying to use up ingredients in the fridge. 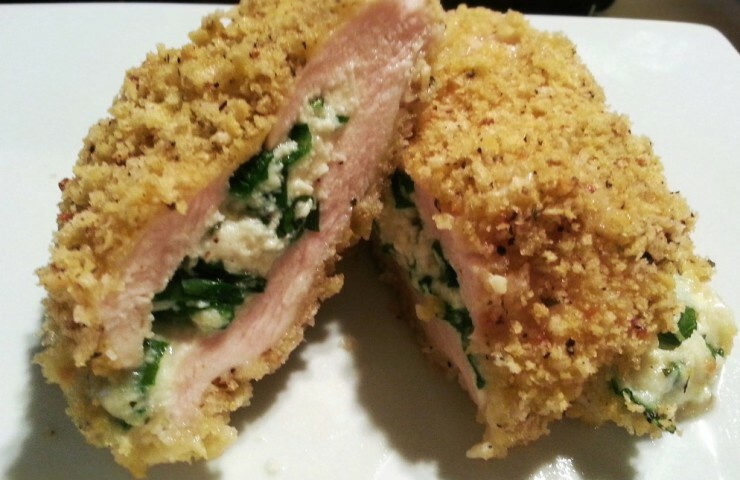 Prior to this, I’d never tried ricotta inside a chicken breast so I wasn’t sure what would happen when I baked them. To my surprise, the cheese maintained its position inside the chicken. I also had spinach and basil on hand that I needed to use up, so I figured why not? It sounded like a good combination at the time, and it ended up tasting great. Start by preheating the oven to 375°F. Next, butterfly the thawed chicken breasts. 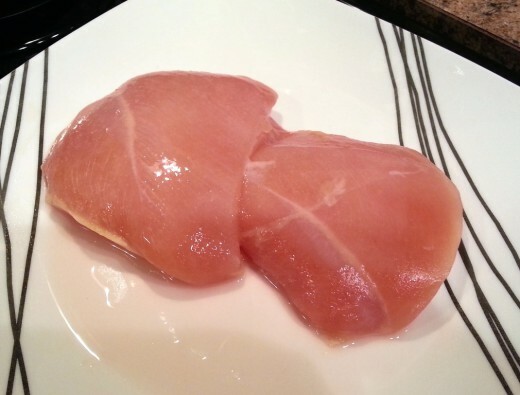 If you’re not familiar with how to butterfly a chicken breast, use a sharp knife and cut horizontally into the chicken, being careful not to cut all the way through. To prepare the filling, beat one egg yolk in a small bowl. 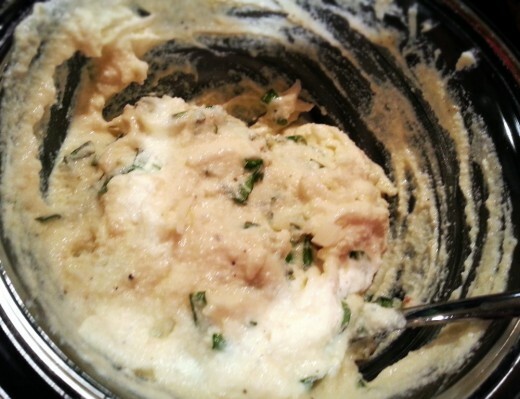 Add in 1/2 cup of ricotta cheese, 1 teaspoon of minced garlic, 1/2 teaspoon of pepper and 1/2 teaspoon of salt. 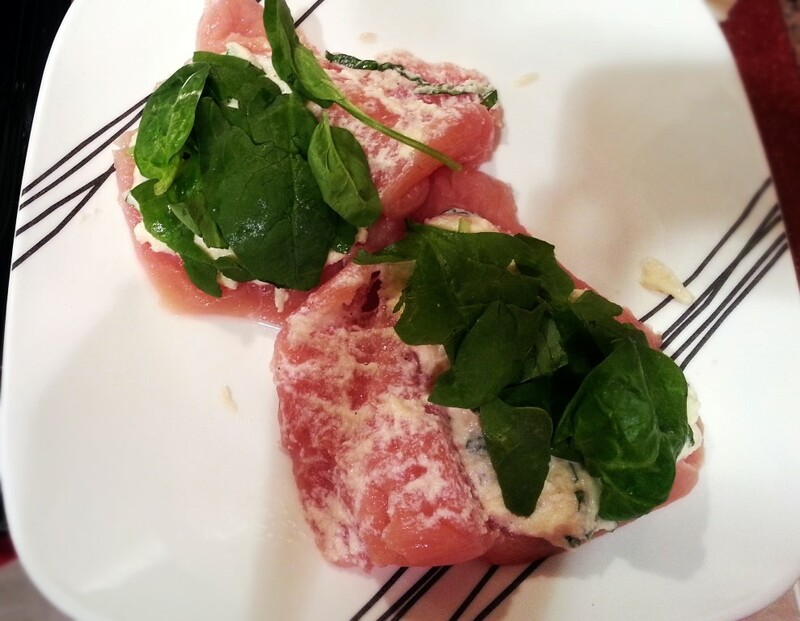 Mix in 1/4 cup of shredded mozzarella cheese and 8 basil leaves, cut into a chiffonade. Divide the cheese mixture between the two chicken breasts, then top it with 4 to 5 spinach leaves. Fold the chicken breast back over to close and seal, then secure it shut with several toothpicks. Now that the chicken is stuffed, it’s time to bread the chicken and make it extra delicious. I think of this process as a mini assembly line, because I work my way from flour to egg to bread crumbs. I rely on my shallow pie pans to hold the egg and bread crumbs and they work great. 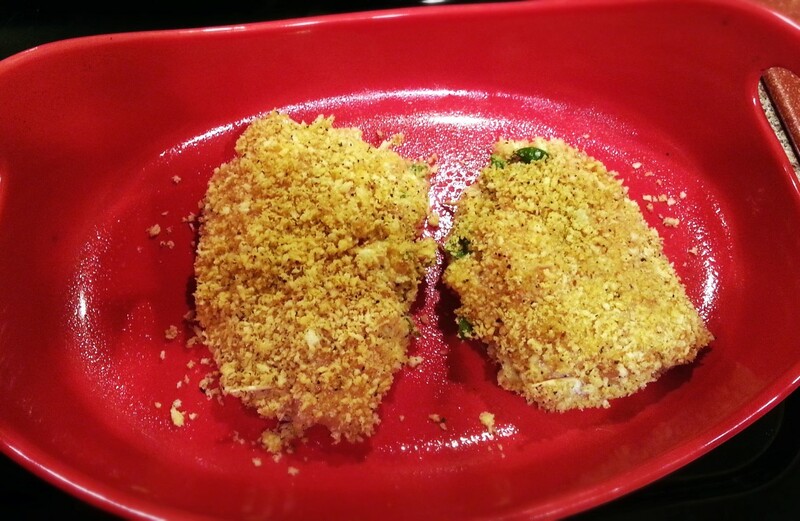 The first step is to coat each chicken breast with flour. Coat one side, rub it in a bit, then turn the chicken over and repeat on the other side. Once fully covered in flour, move to the egg mixture. 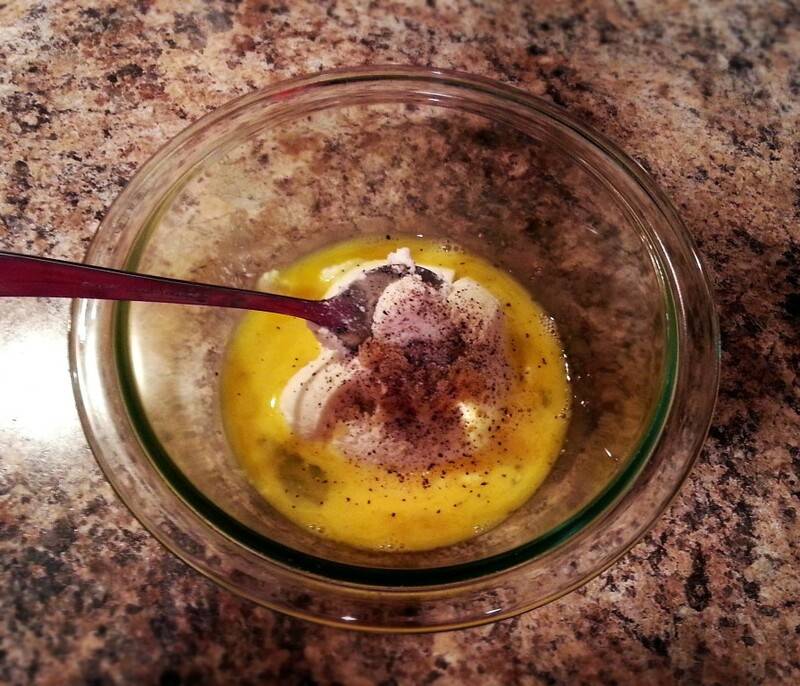 Use one beaten egg, mixed with a splash of milk. Coat the chicken breasts well, turning a few times in the dish. 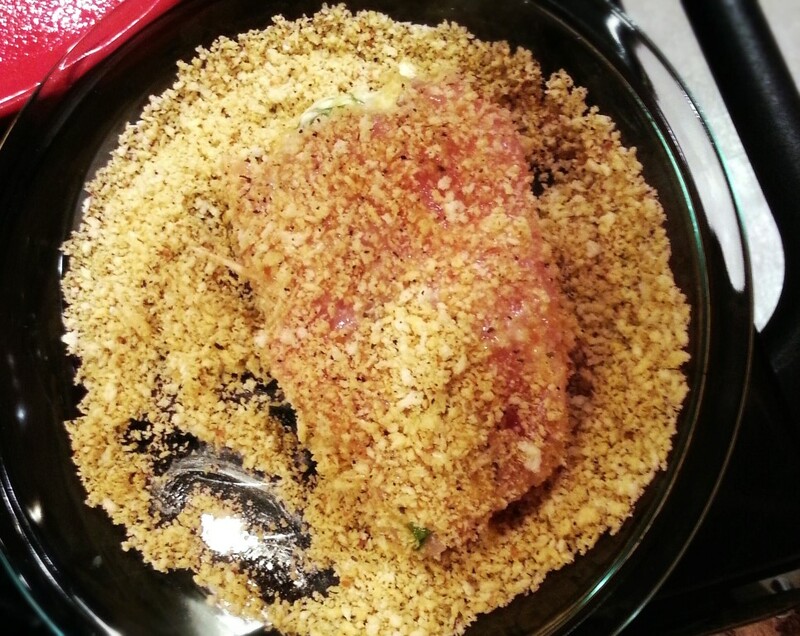 Then transfer to the dish filled with the bread crumbs and use the same turning process to coat very well. 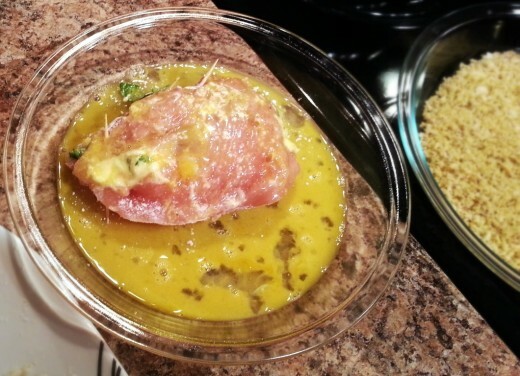 Place in a greased baking dish and bake for 30-35 minutes, uncovered, until the chicken is no longer pink. Let the chicken cool slightly before removing the toothpicks and serving. 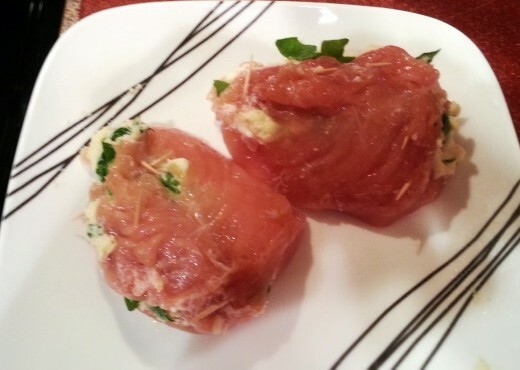 Have a delicious stuffed chicken recipe and want to share? We’d love to hear about it! 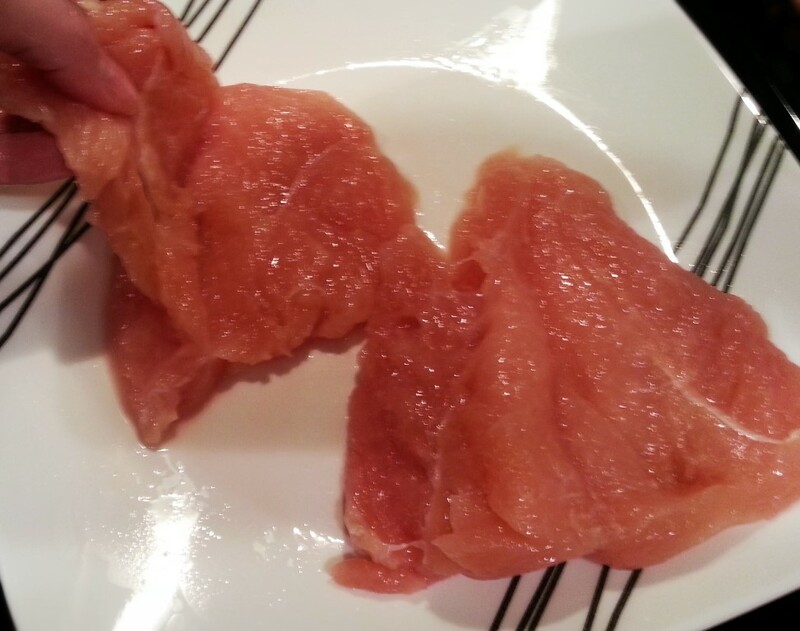 Using a sharp knife, butterfly the chicken breasts. Beat one egg into a shallow dish and pour the bread crumbs into another. To prepare the filling, mix ricotta, egg yolk, basil, garlic, salt and pepper. 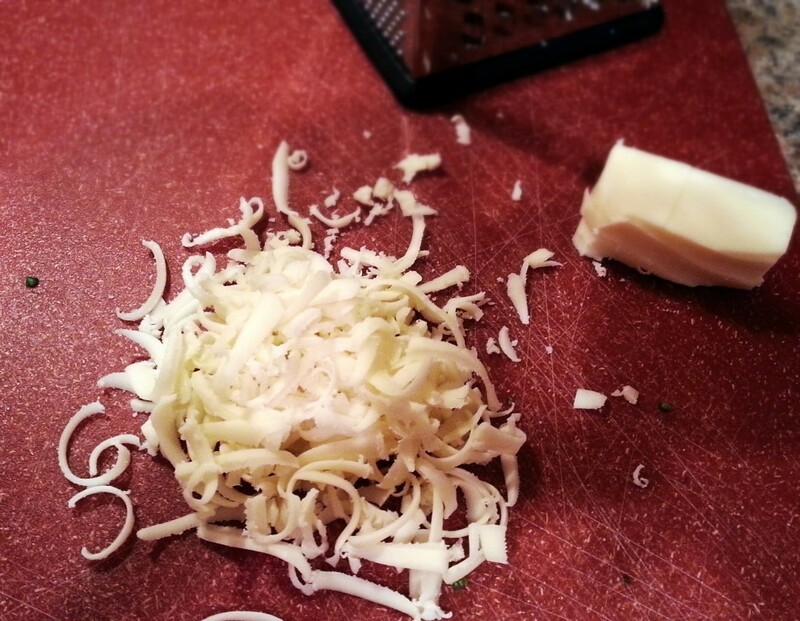 Mix in shredded mozzarella cheese. Evenly distribute the cheese mixture between chicken breasts. Layer with spinach leaves. Close the chicken breast and secure shut with toothpicks. 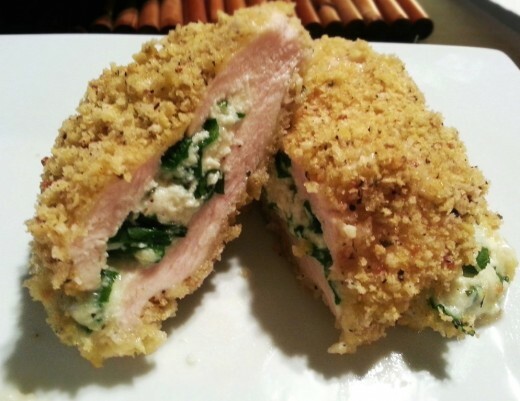 Coat the chicken breasts in flour. Transfer to shallow dish with the egg mixture and coat well, then move onto the bread crumbs and coat well again. Place in a greased baking dish and bake, uncovered, for 30-35 minutes, until chicken is no longer pink.